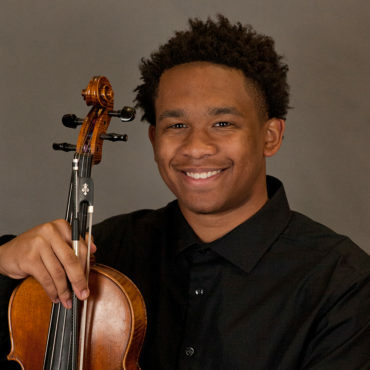 Jalin Alexander Graham was born in Warren, Ohio and became interested in music at the age of 11, studying with the Oglethorpe Orchestra in Savannah, Georgia under the instruction of Mr. Luis Branch. He attends Savannah Arts Academy under the instruction of Emily Calhoun and also studies music with the Savannah Philharmonic’s Principal Violist Lizhou Liu. He has performed with the Armstrong Youth Orchestra, Savannah Philharmonic, All-State Orchestras and the Savannah Arts Orchestra at The Kennedy Center. He plans to become a professional violist and to join world-renowned orchestras.